Is the lifestyle worth the risk of incurring some seriously damaging injuries? I remember the 2014 World Cup final game. It was Germany versus Argentina. The odds were in Germany’s favor, but that didn’t stop Bastian Schweinsteiger from still giving his all so much so that he was floored six times in one game and his face sported a nasty cut under the right eye as he celebrated the win with his teammates. Of course, he was also trying to prove something. Because of previous ankle operations, many predicted that his time on the field was coming to an end. Coach Joachim Löw, however, kept faith with him and Schweinsteiger showed his mettle by playing like a beast. Of course, he came out of that with even more injuries, but at least his team won. Pain would have been worse in commiseration than in victory. The training, the competition, the pain… it’s a way of life for athletes. If they seem obsessed with their physical wellbeing, you can’t really blame them. It’s their source of livelihood, and more often than not, the rewards are pretty awesome. Injury is an occupational hazard, but they have to do what they can to make sure that they keep on playing. They get whatever treatment is necessary – even surgery when it’s necessary – and then concentrate on recovering their skills by engaging a therapist from specialists. This is where sports massage really plays a huge role. Not only does it help with pain management, it also conditions the athlete’s body to get back in the game. Plantar fasciitis – This injury mostly has to do with running, but non-athletes can suffer from it as well as a result of obesity, trauma, ill-fitting footwear, etc. Ankle sprain – This is often caused by landing improperly or jumping incorrectly. Ordinary folks may also incur one when they somehow lose their footing. ACL strain – This typically occurs upon sudden deceleration, hyperextension of the knee, or pivoting in place. It is quite common among basketball and soccer players. Quad strain – This involves the overuse of quad muscles. It usually transpires upon running without a warm-up, trauma, or overstretching. Hamstring pull – A hamstring pull or tear is usually the result of overstretching of concerned muscles in running, jumping, or kicking sports. 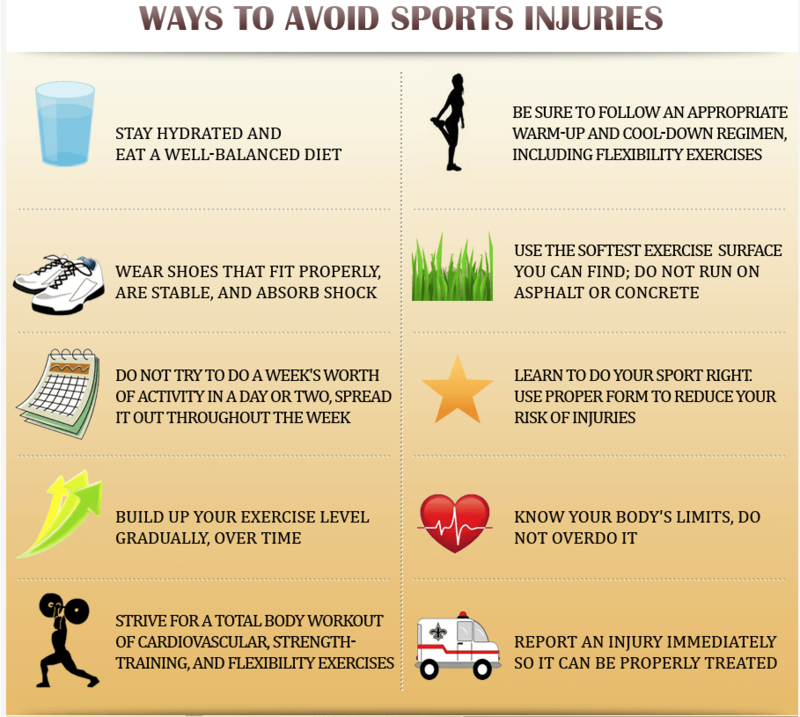 Athletes have come to expect to incur the above sports injuries periodically, but they make sure to practice caution and prime their bodies to avoid them as much as possible. Sports massage is definitely a good way to deal with them or prevent the need to deal with them. Injuries to soft tissues such as tendons and ligaments can be very painful. In addition to the pain they cause, they almost always result in decreased strength, cause a lack of function and mobility, and prevent you from doing the things you usually love to do. In many cases invasive surgery , which forever alters the integrity of the soft tissue in question, is a regularly recommend approach to tendon and ligament tears. But surgery should always only be considered as last resort. Did you know that it’s possible to aid the healing of injured tendon and ligaments without going under he knife? While it may mean longer recovery and working harder on your part, less invasive options have been proven to have long-term results that are similar to surgery – with none of the side effects. When it comes to tendons and ligaments, sometimes good old-fashioned rest is the best prescription.Try laying off the activities that caused the injury in the first place, as well as any other activities that seep exacerbate the condition. Strengthening the area around injuries tendon and ligaments will take pressure off of them ad allow other muscle to pick up the slack. Gentle stretching will ensure tendons and ligaments remain supple. Increasing blood flow. In order for proper healing to occur, the injured area must have plenty of blood flow. The are several way to increase blood flow. Others use therapeutic modalities such as ultrasound, while other use deep tissue massage to bring extra blood to the area in question. Injured ligaments and tendon can go hand-in-hands with scar tissue. which are adhesions that limits further tissue damage, but also limit strength, range of motion, and cause long-term tension and pain. A good sports massage will not only aid in healing, it will also help break down those pesky adhesions, allowing your body to regain its normal movement pattern.